I don't know about you, but my clock was set at 4am this morning to start the early morning television coverage of this historic event. Maybe my fascination stems from the fact that we don't have royalty here in the U.S. and it makes it that much more intriguing, or perhaps the reason I am so excited is because I have some VERY special news to share with all of my readers: I am moving to London in two weeks!! I have wanted to join many of my friends and move to London for over a year now, and having my Italian passport makes moving and working there a snap! No red tape and no visas to apply for ensures a smooth transition. I am also very excited to announce that I have accepted a job at the head office of oh-so-posh Liberty of London, a quintessentially British company (established in 1875, we're talking over 135 years of history and tradition here) who are world renowned for both their fabrics and their truly iconic Tudor department store on Regent Street in London. I will be the product manager of their line of interior design/furnishing fabrics and will be responsible for launching all the new seasonal collections. Winner of Time Out Magazine's 50 Best shops in London, Liberty is always doing something fresh and exciting. They have done some major fashion collaborations with Target, J.Crew, and Nike, to name a few. Their store houses well known classic brands like Armani and Etro, but also fosters cutting edge designers such as Proenza Schouler and Isabella Marant. Each of their six creaky wood floors feature something different, from men's and women's clothing to shoes, jewelry, accessories, bags, housewares, gifts, crafts and hobbies, interior design fabrics, makeup and beauty products, stationary sets, even a denim and scarf room, a men's barber shop, a spa dedicated just to feet, a restaurant for lunch or afternoon tea, and a florist. Talk about one-stop shopping! 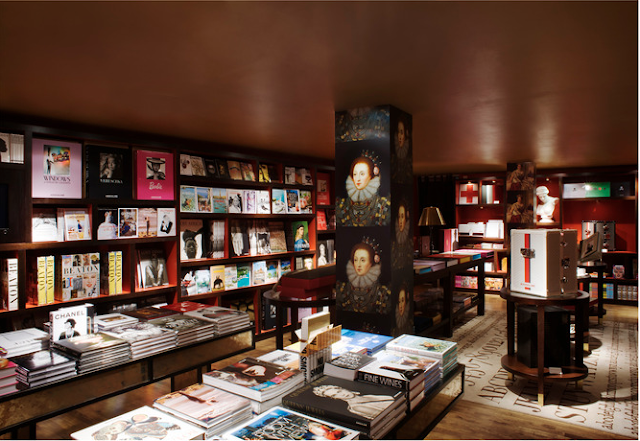 And this month, the uber-famous publishing house Assouline just opened their first UK shop inside Liberty of London, known as the Literary Lounge. 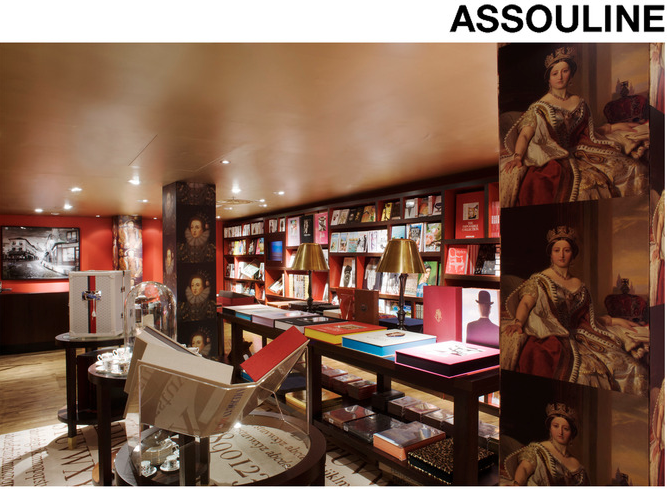 The new boutique is over 1,000 square feet and features not only books, but antiques and specialty items such as a Goyard trunk filled with 100 books to get your own Assouline collection started. As if this space were not fabulous enough, guests can enjoy a flute of champagne, a cup of tea, coffee or a refreshing soda as they peruse the books. Keep your eye on Liberty, they are surprisingly avant-garde for an "old" British department store!